I have lived in the Carmel area for ten years, and I have to say that I had never been to the Carmel Mission. After hearing that Pope Francis will be canonizing Father Junipero Serra, I thought to myself maybe now is a good time to go. The Carmel Mission Basilica is just a three minute door-to-door drive from the Carmel Mission Inn. When I went through the garden gate, it seemed to be a never-ending maze of history and beauty. I just wanted to stand there and take in every moment and every artifact that I could see. The landscaping seemed to be thought out and placed individually, bringing the past forward. There is a desert feel but with pops of color placed throughout, which creates a sense of life among the Mission grounds. I could imagine this place as an oasis for many weary travelers along the California coast. 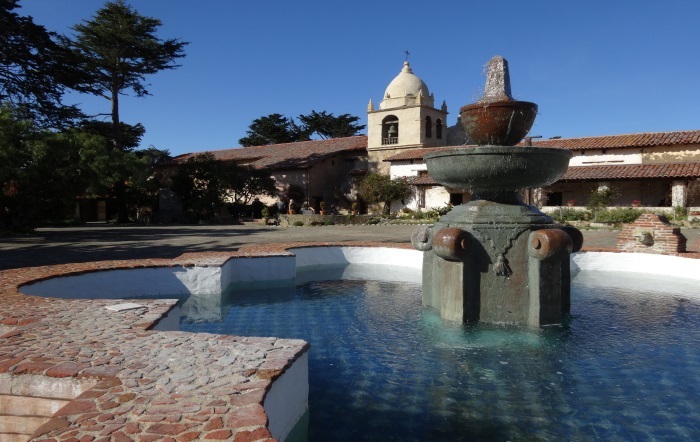 Built in 1771 by Father Junipero Serra, the Carmel Mission has become a major tourist attraction for the Monterey Bay. The Basilica, in my opinion, is the icing on the cake, as it towers over the Mission grounds. It exudes elegance and a sense of peacefulness. You can&apos;t help but be in awe of the attention to detail that went into the ornate altar. 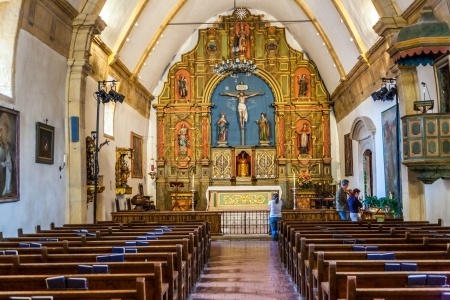 The Basilica is surrounded by four smaller but just as beautiful museums that map out the history of the mission, its founder, and prevalent Monterey families. The artwork that fills these halls is just as magnificent as the buildings themselves. Just think how over the years this structure has grown and the stories that must be hidden within its walls. The museums can only do so much, so you must let your imagination flow as you stroll through the grounds. Keep an open eye because there are little treasures are hidden everywhere. The most surprising part of my tour was the restoration of this masterpiece. They have taken such great care and pride in preserving this for future generations, and there is still more to do. In the courtyard off of the Basilica entrance there is a post of the restoration, giving the visitor insight into what goes on to keep the Mission intact and functioning. 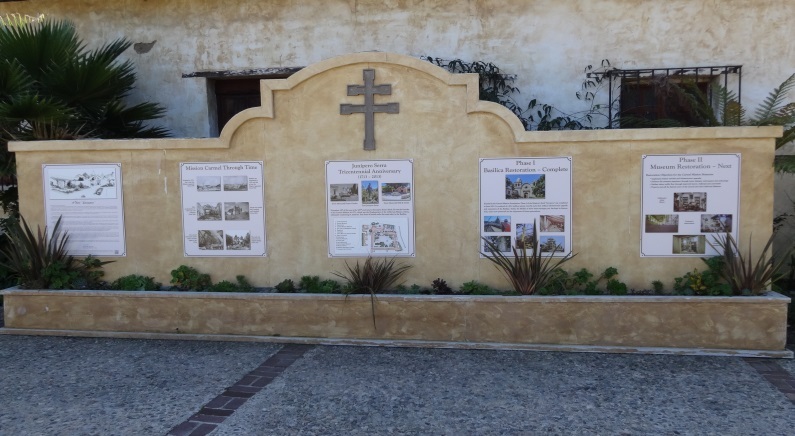 The Carmel Mission even won the Project-of-the-Year Award from the construction industry for the Northern California and Hawaii Region in the religious/cultural category. It was just full of unending beauty and a central coast gem. All I kept asking myself was, "why have I never been here before?" This is not going to be my last time visiting the Carmel Mission. I enjoyed its tranquility among the bustle of busy Carmel. However, I&apos;m sure I&apos;ll also be visiting during one of the many events they hold throughout the year. As this is the year Father Junipero Serra will be canonized as a Saint, I feel this should be a stop on everyone&apos;s journey this year. It&apos;s a piece of history. 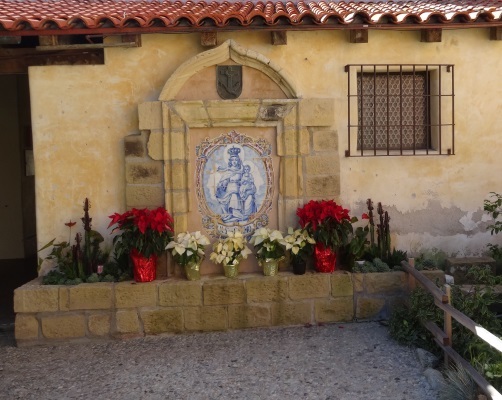 Culturally, religiously and educationally, the Carmel Mission is a must see for any and all ages. 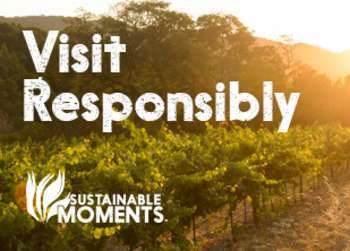 The Carmel Mission is open to the public Monday through Saturday from 9:30am to 5:00pm and on Sunday from 10:30am to 5:00pm. 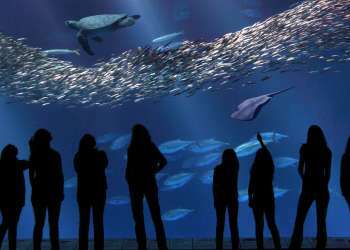 Admission fees: adults $6.50, seniors (65) $4, children 7 and up $2, children under 6 free. Sheena Staveley is the newest member of the Carmel Mission Inn team as the Sales & Marketing Representative. She is currently working towards her second Bachelor's Degree in Business with a concentration in Marketing. During her free time, she likes to do crossword puzzles and watch the Food Network for new recipes to try.